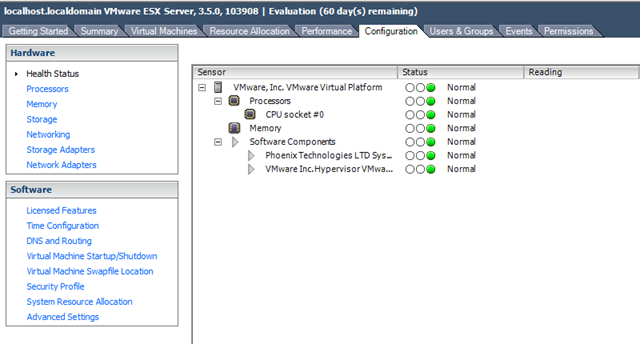 VirtualCenter 2.5 Update 2 extends support for alarms on the overall health of the server by considering the health of each of the individual system components such as memory and power supplies. Alarms can now be configured to trigger when host health degrades. 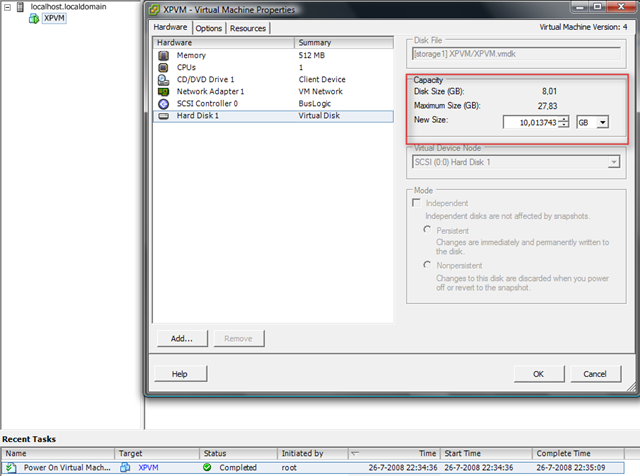 Hot Virtual Extend Support – The ability to extend a virtual disk while virtual machines are running is provided. 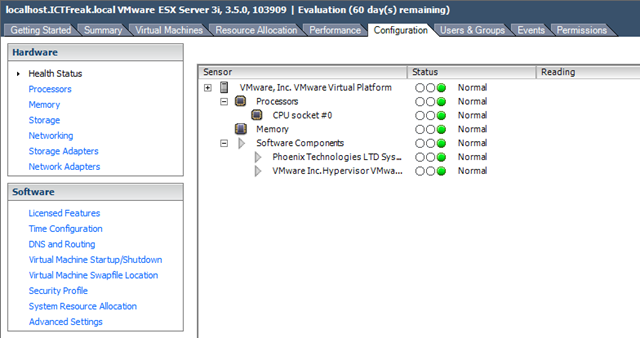 Hot extend is supported for vmfs flat virtual disks without snapshots opened in persistent mode. De XPVM staat aan een heeft een VMDK van 8GB deze ga ik via Hot Virtual Extend vergroten naar 10GB. Voordat je deze optie kunt gebruiken moet je wel even de snapshots verwijderen. Live Cloning of Virtual Machines – VirtualCenter 2.5 Update 2 provides the ability of creating a clone of a powered-on virtual machine without any downtime to the running virtual machine. 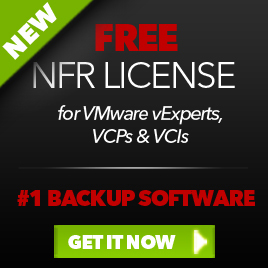 Therefore, administrators are no longer required to power off a virtual machine in order to create a clone of it. Dit kon al in VC 2.5. Hoe dit in zijn werk gaat lees je in deze post. You can now automatically authenticate to VirtualCenter using your current Windows domain login credentials on the local workstation, as long as the credentials are valid on the VirtualCenter server. This capability also supports logging in to Windows using Certificates and Smartcards. It can be used with the VI Client or the VI Remote CLI to ensure that scripts written using the VI Toolkits can take advantage of the Windows credentials of your current session to automatically connect to VirtualCenter. VSS quiescing support – When creating quiesced snapshot of Windows Server 2003 guests, both filesystem and application quiescing are supported. With Windows Server 2008 guests, only filesystem quiescing is supported. 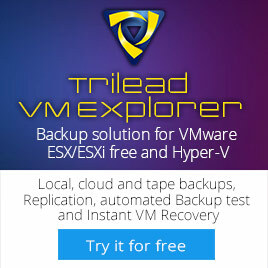 For more information, see the Virtual Machine Backup Guide and the VMware Consolidated Backup 1.5 Release Notes. 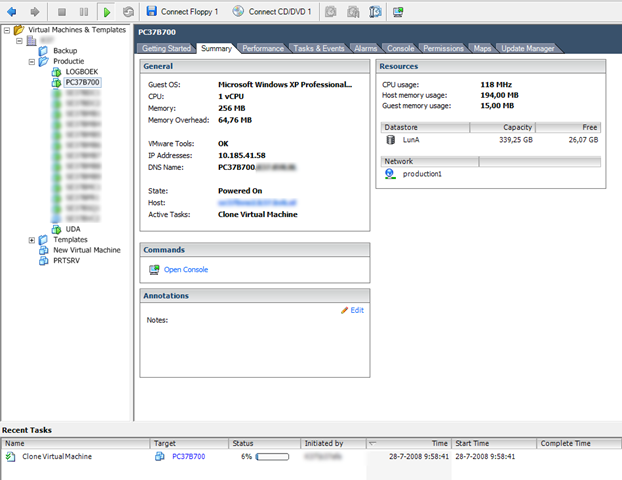 This entry was posted in VCB, Virtualization, VMware and tagged ESX 3.5, ESX 3i, VCB, VirtualCenter 2.5, VMware on July 28, 2008 by afokkema.